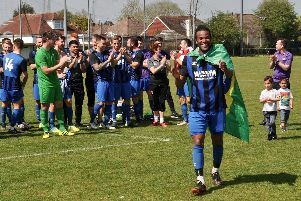 Former England international Rodney Marsh has offered Southern Combination League Division 2 strugglers Ferring Football Club some advice for next season. Ferring's tricky campaign came to a close on Saturday with a 7-0 home defeat at the hands of Roffey. From the 28 games played over the course of the season, they failed to collect a single point and conceded 300 goals. Manager Steve Allen insists he wants to remain as manager given the chance and Marsh, capped nine times for England, has taken to Twitter to give him some advice. On Tuesday afternoon, he tweeted: "My tip. Get a bigger left-back...".